If you thought 2008’s Rambo would be Sylvester Stallone’s final go at playing the character he originated in the '80s, you would be wrong. The superstar tweeted his plans for the near future and they include jetting off to Philadelphia to shoot the Rocky spin-off Creed. He's going to make a gangster movie, but before then… well, let’s just see what Stallone said. 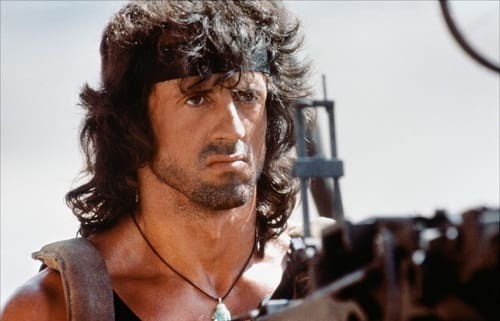 That’s it folks, the latest, and “last” warrior movie about John Rambo will be called Last Blood: Rambo.Of course that's a direct correlation to the first film First Blood that introduced us to Rambo. Given the success that Stallone has had with The Expendables, we can’t blame him for heading back to the beginning to create another action flick after his Bullet to the Head didn’t do so well. Nothing gets audiences in the seats like a familiar name and Rambo is one that lives long in Hollywood lore. No word on details as to when filming will begin or when it will be released. But stay tuned and, in the meantime, check out where he left off and watch Rambo online.